Cheat Engine, commonly abbreviated as CE, is an open source memory scanner/hex editor/debugger created by Eric Heijnen ("Dark Byte") for the Windows operating system. 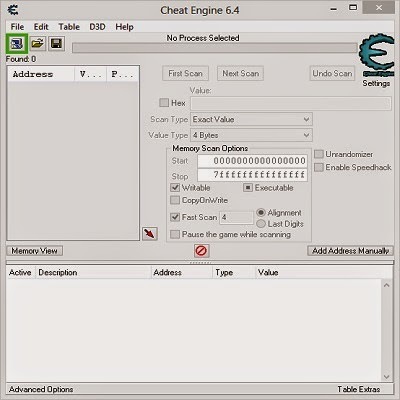 Cheat Engine is mostly used for cheating in computer games, and is sometimes modified and recompiled to evade detection. Developer: Eric "Dark Byte" Heijnen. Cheat Engine can view the disassembled memory of a process and make alterations to give the user advantages such as infinite health, time or ammunition. It also has some Direct3D manipulation tools, allowing you to see through walls and zoom in/out, and with some advanced configuration Cheat Engine will move the mouse for you to get a certain texture into the center of the screen. This is commonly used to create aimbots. However, the main use for Cheat Engine is in single player aspect of games and its use in multiplayer games is discouraged. Cheat Engine can inject code into other processes and as such most anti-virus programs mistake it for a virus. There are versions that avoid this false identification at the cost of many features (those which rely upon code injection). The most common reason for these false identifications is that Cheat Engine makes use of some techniques also used in trojan rootkits to gain access to parts of the system, and therefore gets flagged as suspicious, especially if heuristic scanning is enabled in the anti-virus program's settings. Newer versions of Cheat Engine are less likely to be blocked by anti-virus programs so features like code injection can be used without problems. No. Its only for PC. can it be used for facebook games?